Household cleaning may be your least favorite kind of work (let’s face it – no one really likes to clean the house!) but although it may not be something that you’d thought of, it can actually help you to lose weight. This means that you can get in shape without having to do those strenuous and painful routines in the gym. So if you’re someone who absolutely despises going to the gym, then doing some of these everyday chores can even help you get the body you want to achieve, without having to pay those expensive gym membership fees. Grab that broom and sweep the floors of your house, even the corners that haven’t been touched in a while. 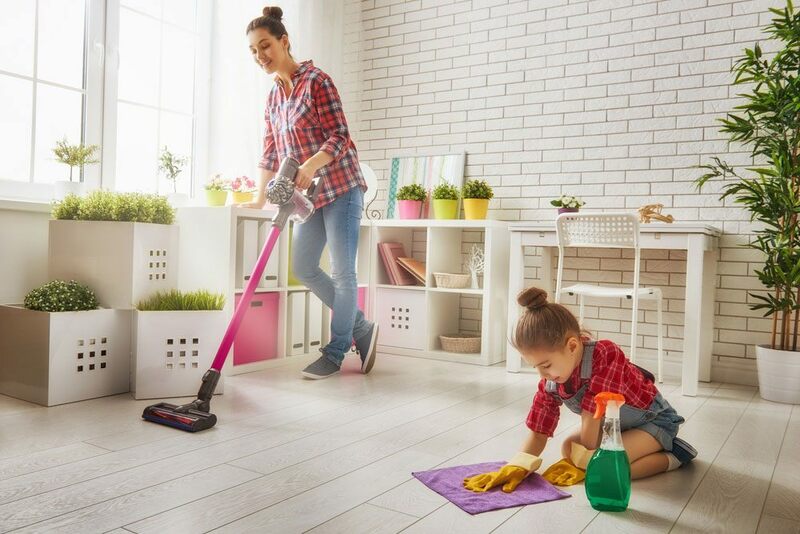 Make sure not to miss any spot where dirt or cobwebs had already accumulated, not only to prevent any allergic reactions they may cause, but also to keep burning those 136 calories in 30 minutes. Who would’ve thought that something as simple as sweeping your floors would help you to lose some weight?! While you’re at it, mop the floor after sweeping. Mopping will help you to tone and strengthen your arms and legs. If you want to feel the burn even more, try scrubbing the floor as this tones out your arms and works out your abs at the same time. One thing to bare in mind however, is to make sure that your hips don’t sway. Try to run a finger over that glass and evaluate how much dirt has been accumulated. Reaching high areas of the window stretches your body, or squatting to check on that level you may have missed or reach for those cleaning products on the floor helps you tone your hips, thighs, and calves. 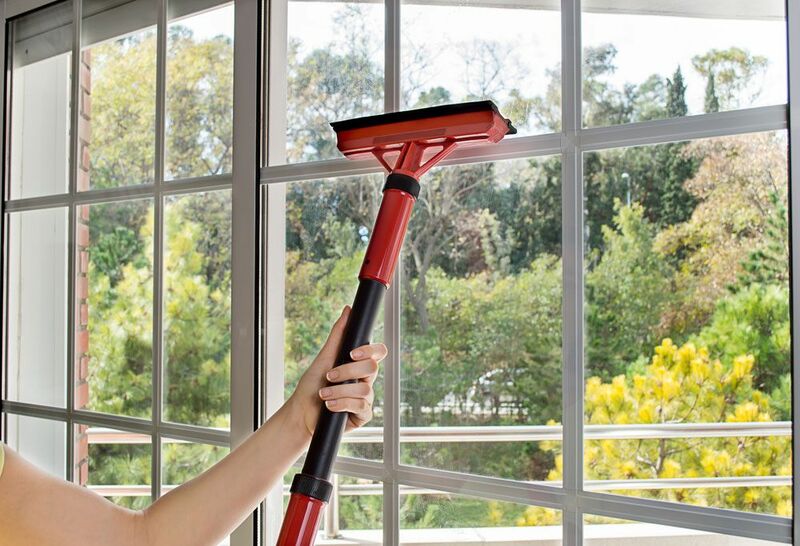 Of course, scrubbing away to make sure you window surfaces are spotless will also give your arms some tone and strength. Vacuuming is a chore that nobody enjoys doing. I mean, having to trudge around the house and up the stairs while pushing and carrying a heavy vacuum cleaner isn’t fun at all. But when you take into account the weight of the cleaner, coupled with the fact that you’ll be working the muscles in your arms, hips and legs for a considerable amount of time, vacuuming actually turns out to be a rather intense workout. Forward lunges are done when vacuuming, and you can always double the speed to make the exercise more effective. Working away at those corners with a firm grip will give your arms a great workout too. So, instead of just vacuuming a single room, why not do the whole house to make the most out of the workout?! Does the grass need trimming? Are there weeds invading your potted plants? Is it about time to plant those flowers you love so much? 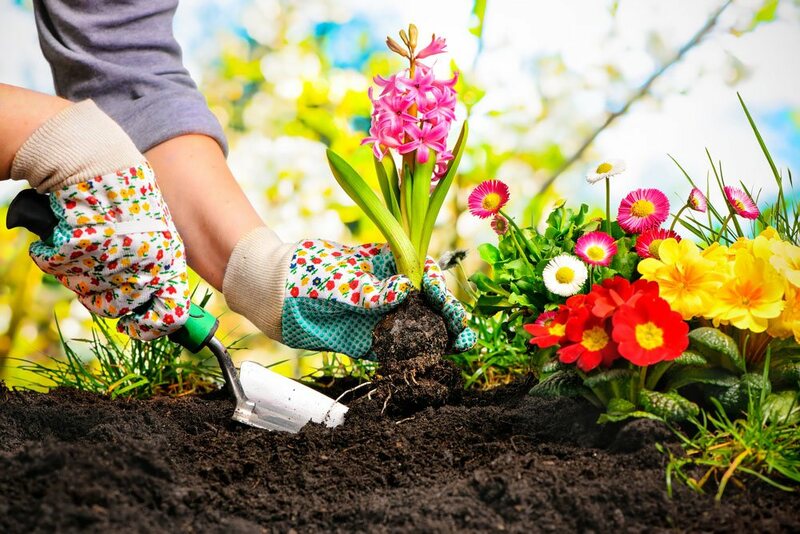 Gardening involves a lot of squatting, stretching, and weight lifting that makes you move more. Did you know that it also burns more calories than mopping for an hour? Best of all, you can enjoy the sunshine (getting your daily dosage of vitamin D) and some fresh air too! Even mowing the lawn can help you to lose weight as you will be racking in your steps count. If you’re using a hand mower, that’s even better, because that will also give your arms a workout. Exercise and household cleaning do not need to have a clear distinct line between them. If you see the chores as being similar to routines prescribed by trainers at the gym, or if you see it as an opportunity to work-out without the need to spend time and money, then make it your daily routine and the dullness of cleaning the house will become a training regimen to look forward to. This will not only mean that your home will remain spotless, but you’ll also be improving your health at the same time – as they say, it’s a win, win situation!